We'd love to hear about more things to do, people to see, and places to stargaze this summer. If you have a favorite seasonal happening somewhere in the good ol' U.S.A., drop us a line on , , or in the comments section below. 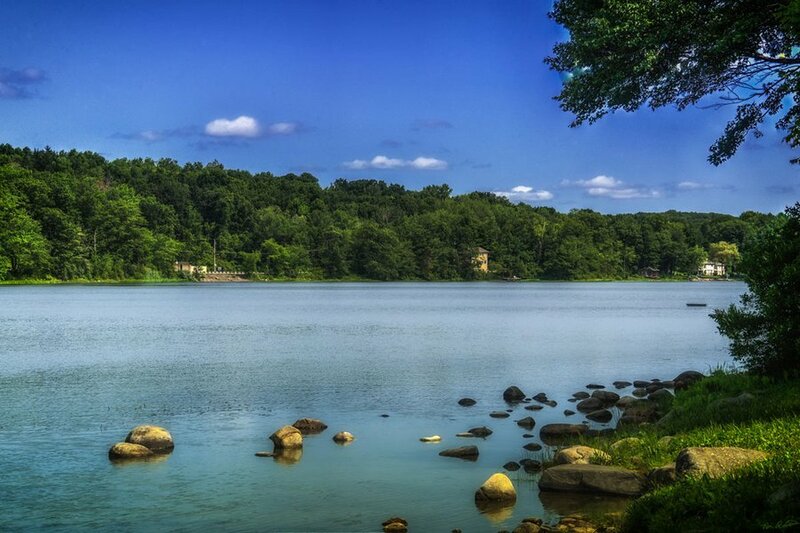 Drive deep into the foothills of the Appalachian Mountains in northwest Alabama for swimming, hiking, and camping at . Guided night tours showcase the uniquely illuminating dismalites, bioluminescent glowworms that are only found in a few places on Earth. 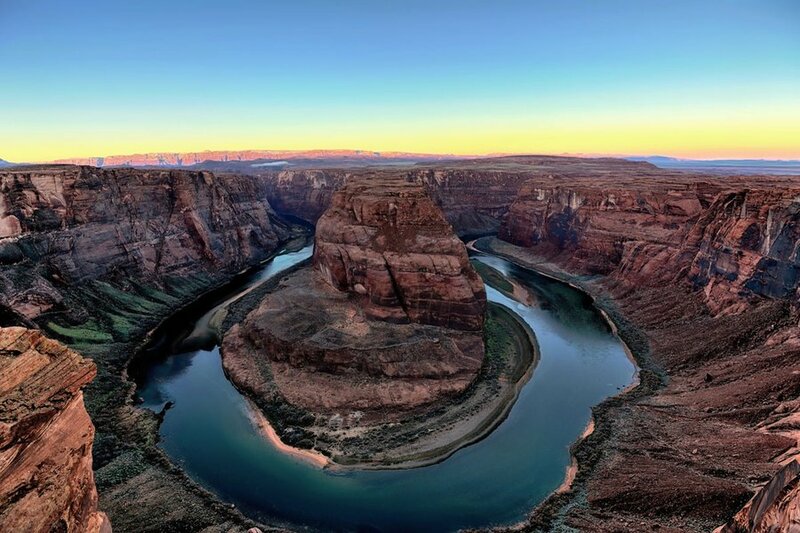 The National Parks Service is celebrating their centennial with on August 20, a birthday bash for Arizona's 22 national parks and monuments. Chat with experts from the State Parks Department, take guided bike or hiking tours around Flagstaff, chow down at local food trucks, watch live performances, and more. After being closed for three years, has finally re-opened its doors to the public. 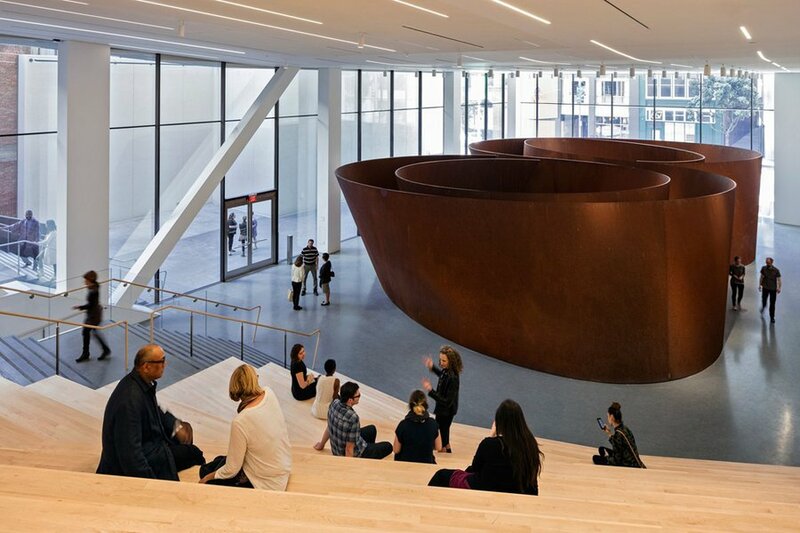 The new building is putting its gallery space (nearly three times the size of the original) to good use with nineteen inaugural exhibitions. is open for the summer. Visit the site where Swedish- and Finnish-American settlers founded New Sweden, the first Swedish colony in America, over 375 years ago. The fort was built and named after the Queen of Sweden at the time. The Inn at Government House, once the official residences of the city of Baltimore, has re-opened as , a charming new boutique hotel with nine suits and nine guest rooms, a five-chamber fine-dining restaurant called , a full-service spa, and an outdoor garden. 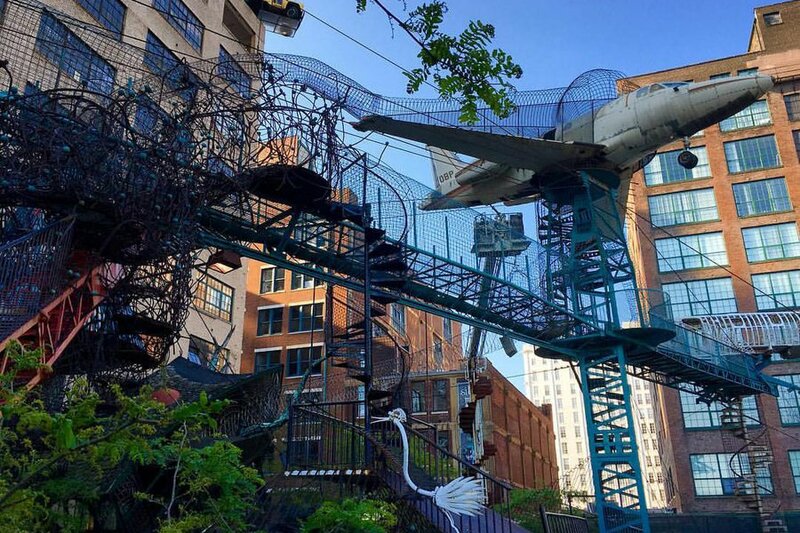 Channel your inner child at in St. Louis, an ever-changing architectural playground pieced together with objects salvaged from around the city. 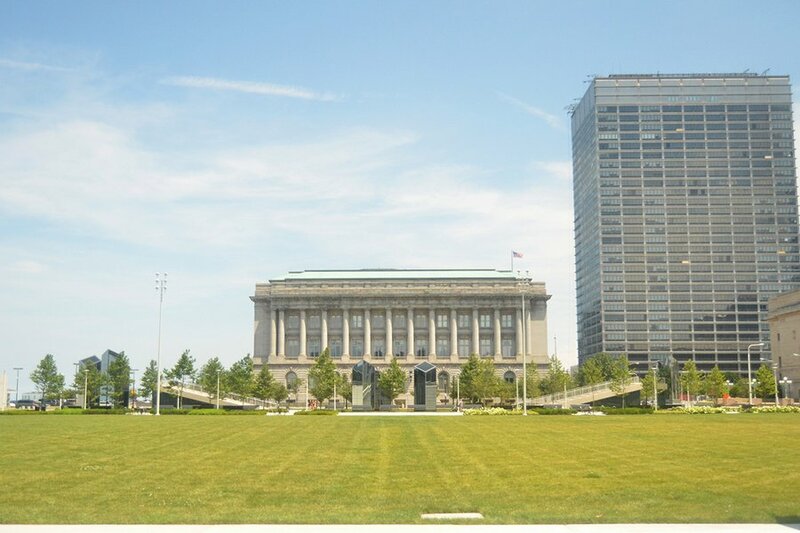 In addition to slides, ramps, game rooms, and ball pits, the museum's rooftop (open weather-permitting) has a ferris wheel, a gutted school bus, and a cafe that serves beer. 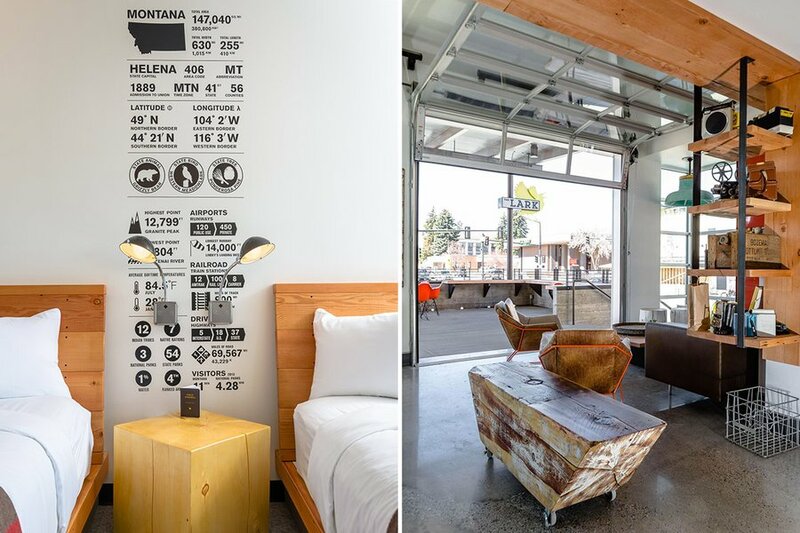 There's another reason to linger in Bozeman, a key jumping-off point on the road to Yellowstone National Park., a well-designed upscale motel opened in 2015, enlisted local artists to design 38 one-of-a-kind rooms and a map room that highlights the best of Bozeman. 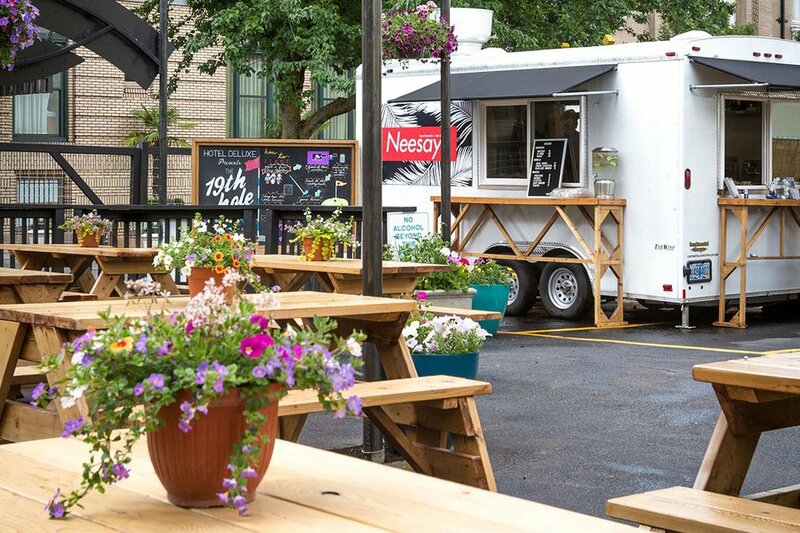 The hotel also dishes out some of the city's best street food out of an airstream at. Talk about a basecamp. Eat through the neighborhoods of Benson and Blackstone, which, over the last few years, have become food and drink destinations in Omaha. Keep your eyes out for Blackstone Bazaar behind , the 120 different tequilas at , and the sunken bar and tater tots at . Road trip to , an endlessly fascinating 275-square-mile stretch of desert moonscape at the heart of Tularosa Basin. 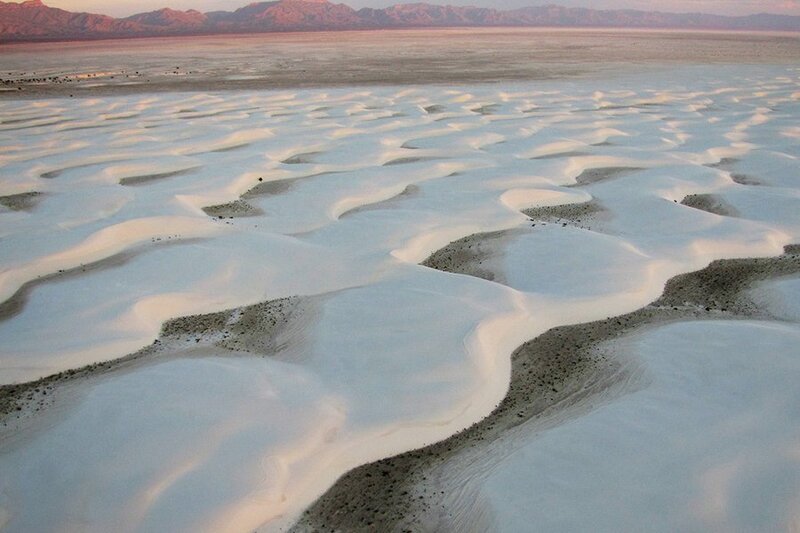 The world's largest gypsum field is a favorite amongst photographers, dune boarders, and anyone that can appreciate a truly incredible sunset. 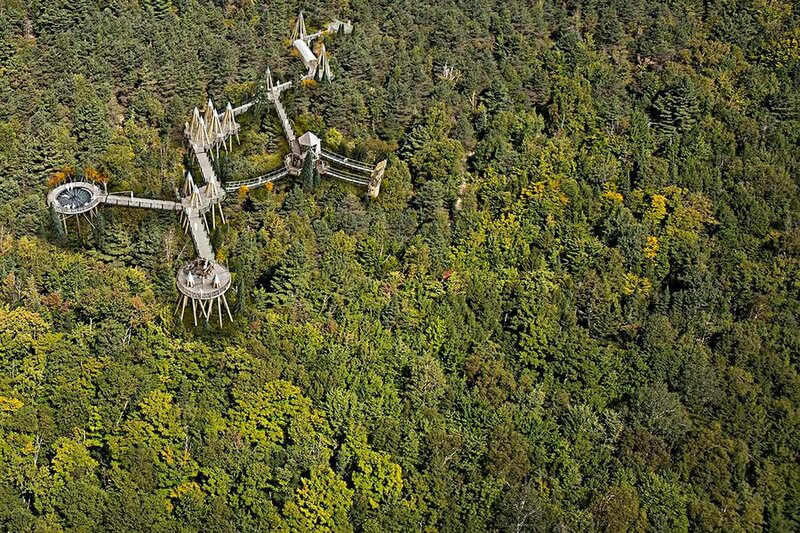 Plan an outdoor adventure in the Adirondacks. Balance afternoons spent hiking and canoeing with evenings spent sipping cognac at . 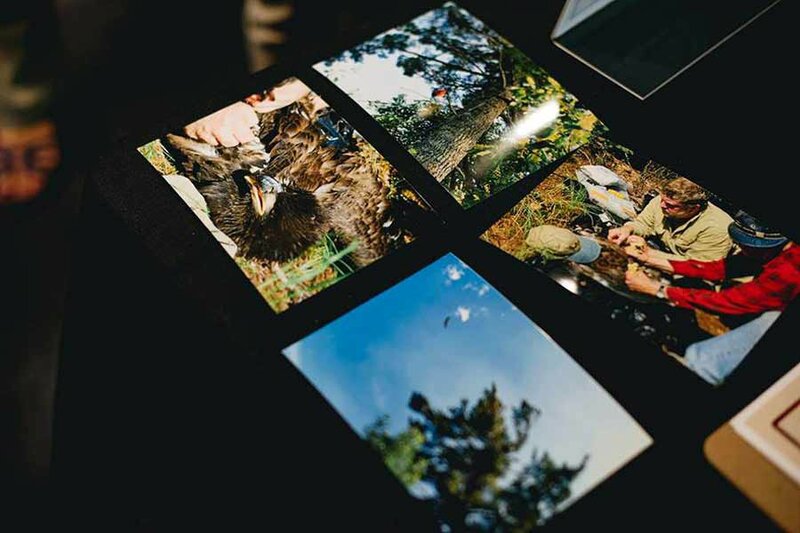 Set aside a day for , a museum experience suspended above forest that beckons visitors to experience the wilderness from an animal's point of view. Literally. 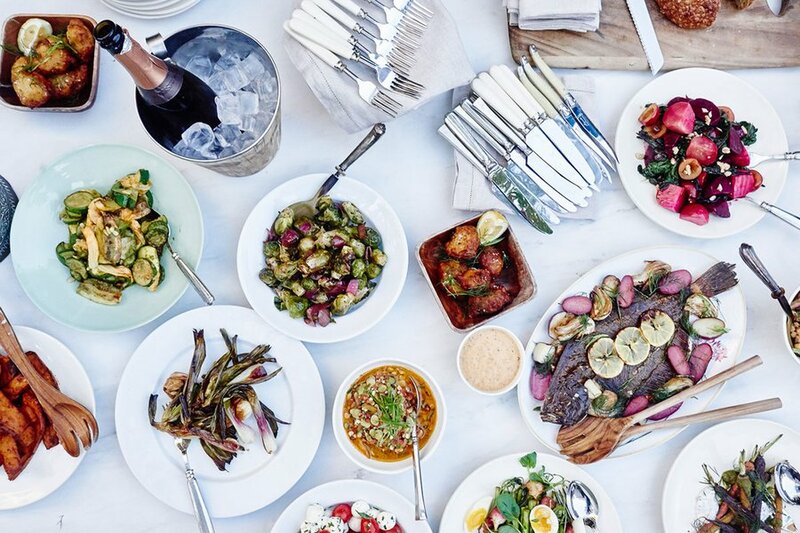 Come to Durham for the food, stay for the — a former bank-turned-mid-century-modern hotel that features a rooftop bar and restaurant run by James Beard Award-winning chef Andrea Reusing. 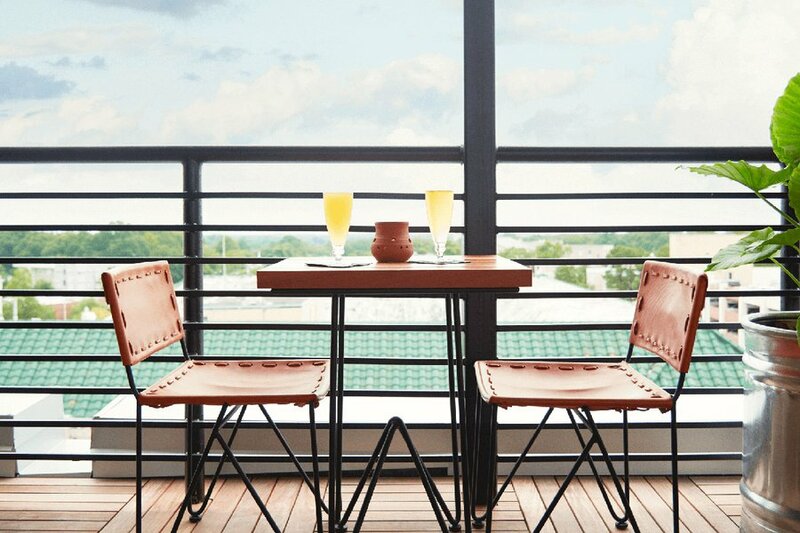 From the terrace, dine elegantly on American regional flavors with panoramic views of the city. Attend one of the premier cultural events in the state: the . 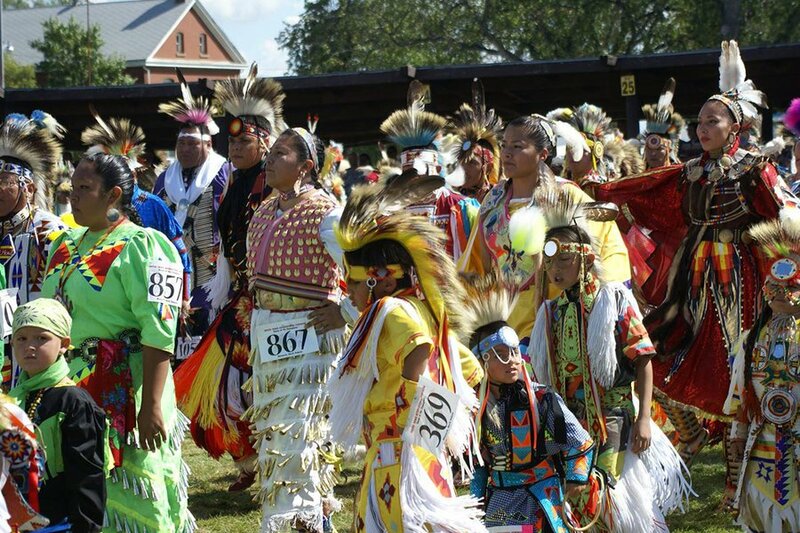 Held annually, the event sees nearly fifteen hundred dancers and drummers representing more than 70 tribes. Watch dancing and singing contests or attend a traditional buffalo to get a taste of Native American culture in North Dakota. The movers and shakers at 21c Museum Hotels are stirring things up in the state capital. 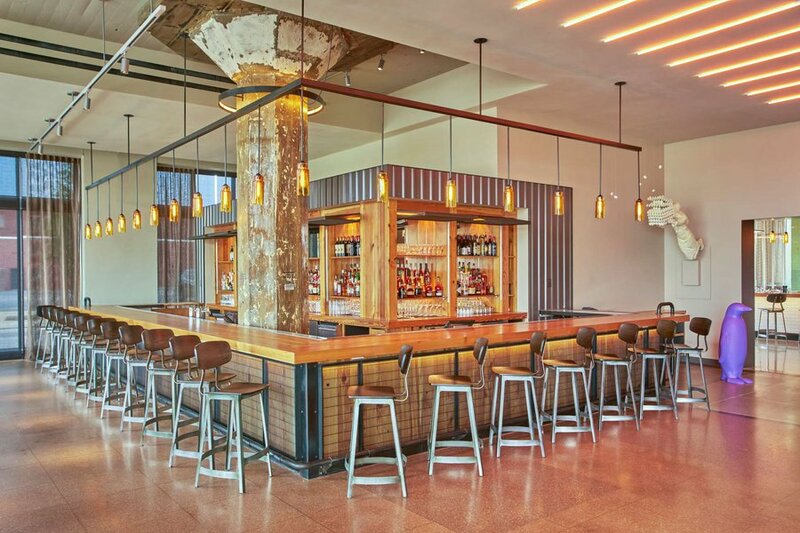 Their latest opening, , repurposes an old Ford Motor Company Assembly Plant. 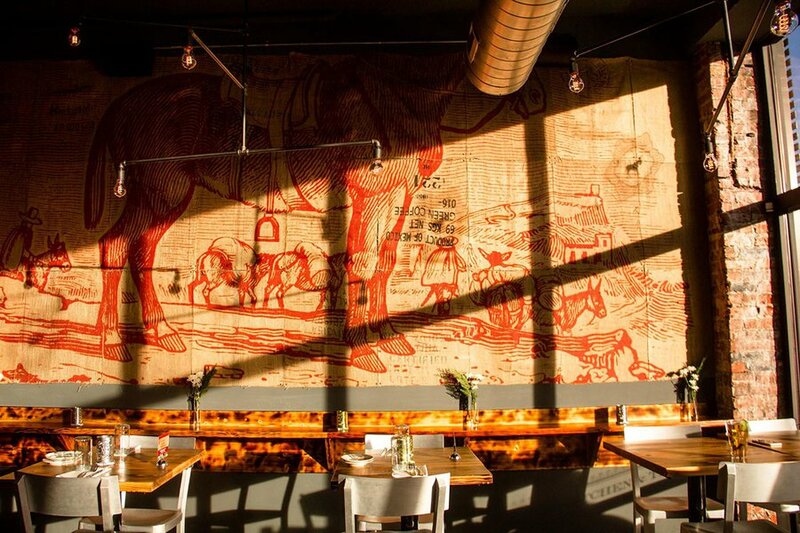 The hotel's restaurant and art collection are inspired by 20th-century industry. Back by popular demand is , a summer-only nine-hole miniature golf course and beer garden at in Portland. 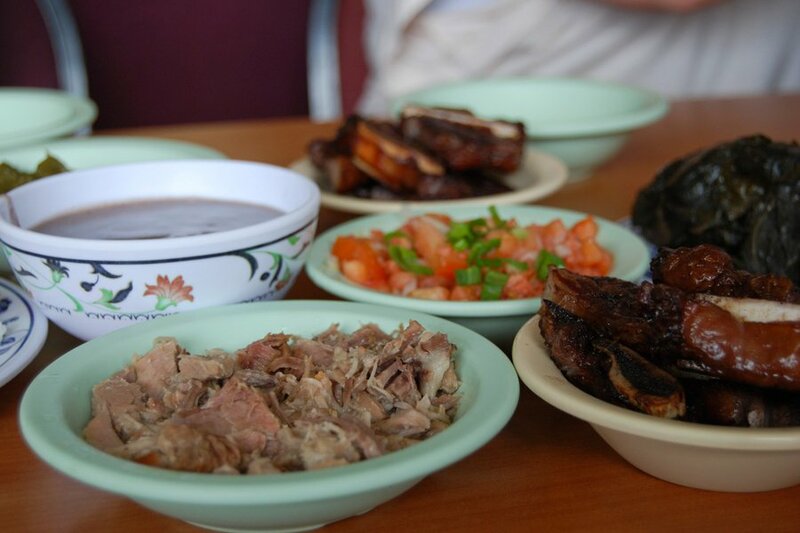 Expect picnic-table seating, a menu of more than 50 local craft beverages, and chef Jun Robles of with riffs on Korean, Japanese, and Filipino cuisine. The city of quirky and incongruous pairings strikes again. at Philadelphia Museum of Art showcase the work of Diébédo Francis Kéré in West Africa. 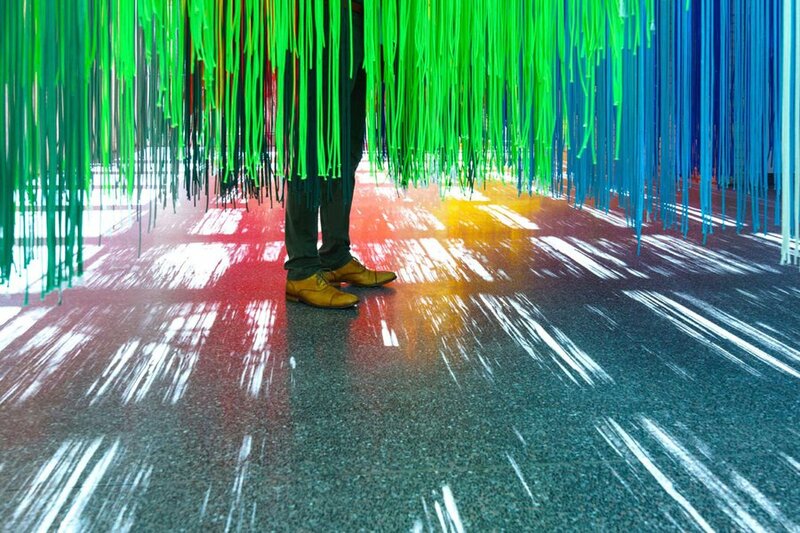 The Berlin-based architect designed the interactive installation with thousands of rainbow cords to display how architecture benefits communities around the world. Listen to audio recordings pulled from places that range from Burkina Faso to Philadelphia for a full global experience. 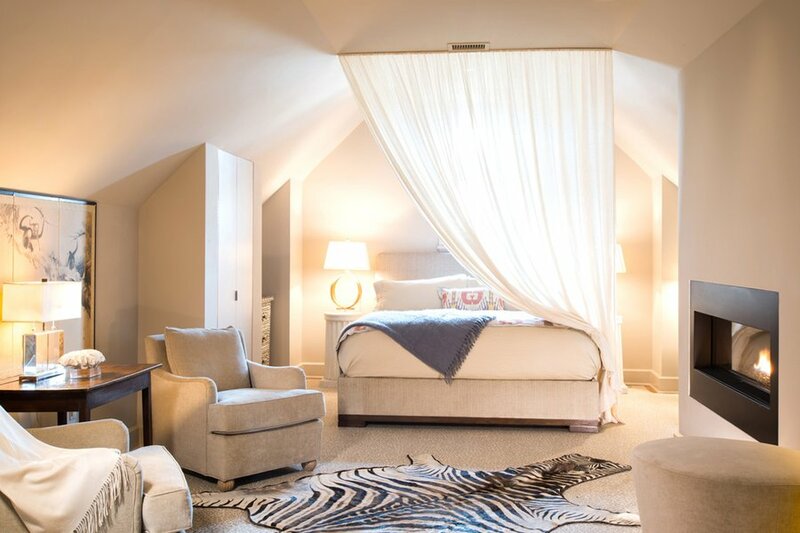 , the latest luxury boutique hotel in Charleston, is doing up Southern Hospitality with mid-century modern design and sophisticated details from the old world. 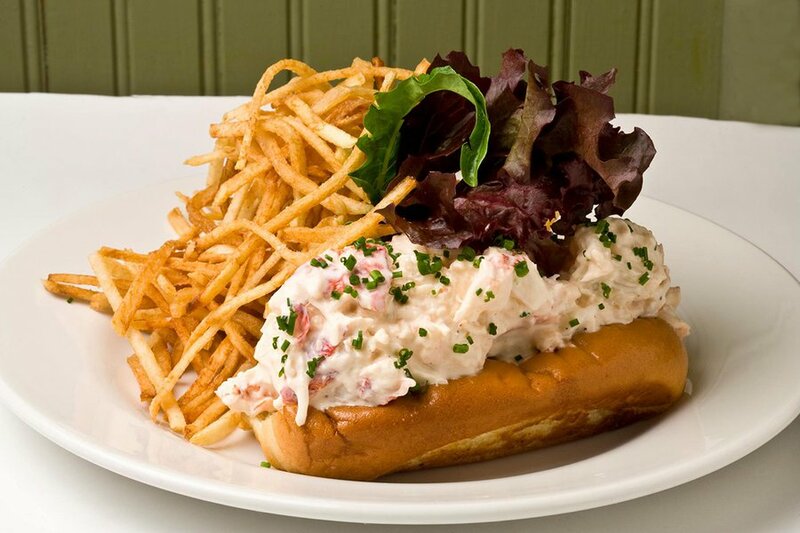 Henrietta's, the ground-floor brasserie, also happens to be one of the hottest openings in town. Expect waiters wearing tuxedos serving a seasonal menu of vegetable-driven French classics. 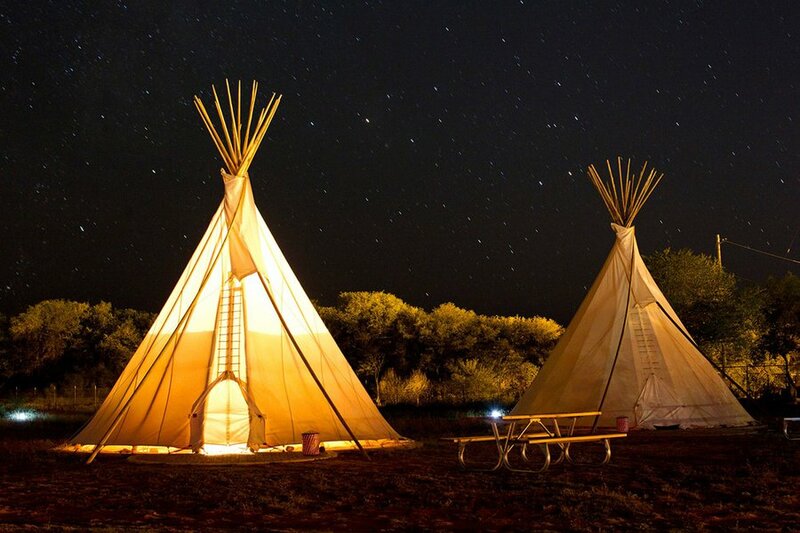 From September 22–25, draws culture cowboys and enlightened nomads to the new-age glampgrounds of El Cosmico outside Marfa. This year's activities include yoga, welding workshops, sandlot baseball, palm readings, and, of course, great music. 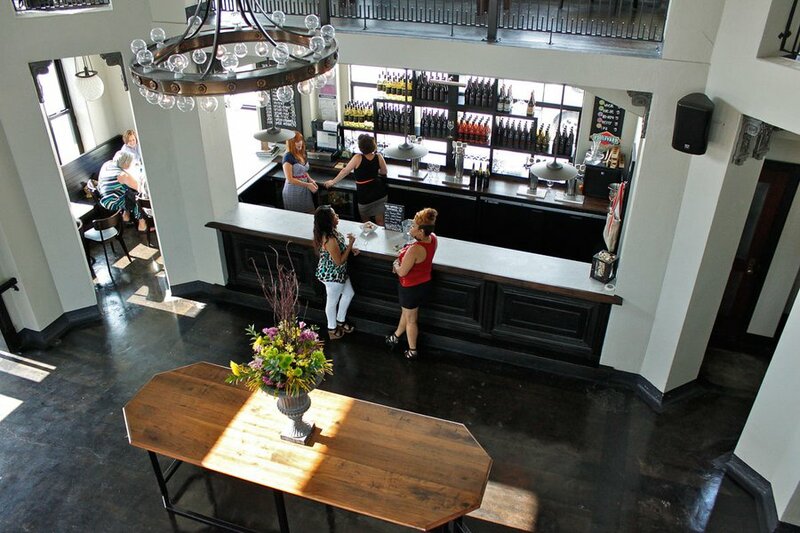 Pair cabernet with classics at Chateau St. Michelle's . 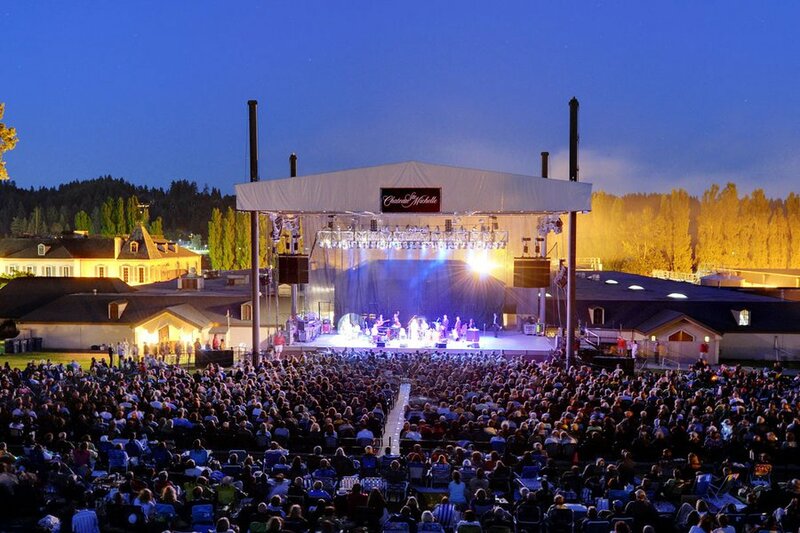 The well-respected winery outside Seattle has, over its 32-year-long tenure, hosted headliners like The Beach Boys, Crosby Stills & Nash, and John Legend. Your next crush is probably competing at the annual in Hayward. 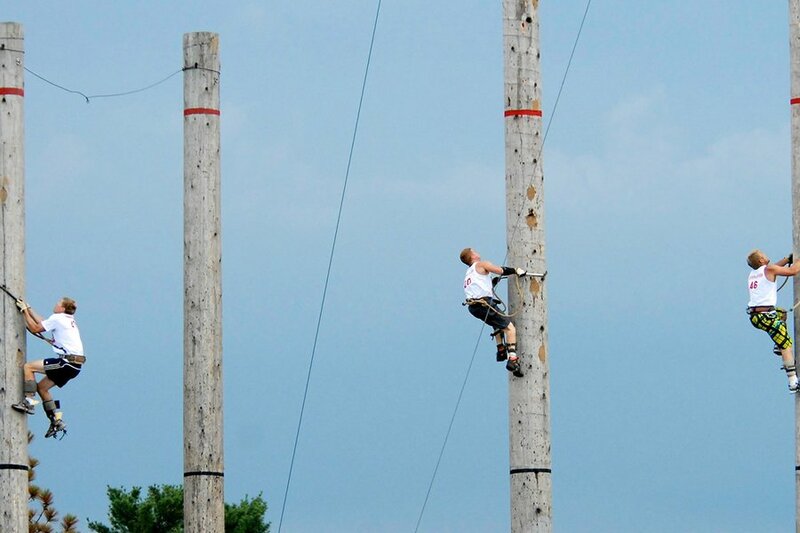 The three-day event starts on July 28 and features more than twenty unique competitions, including logrolling, chopping, and pole climbing. And if you can't make it, catch the action on ESPN. No birthday party is complete without music. And the 100-year anniversary of the National Park Service is no exception. 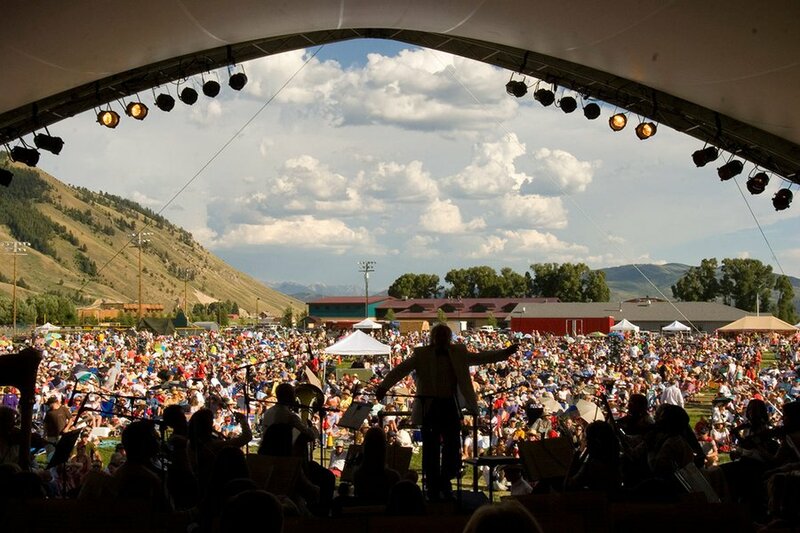 (July 4 to August 20), one of the nation's premier outdoor orchestral events, is held in Jackson Hole, near both Yellowstone and Grand Teton National Parks. Also within reach is (August 12-14), a celebration of mountain music, food, and lifestyle in Teton Valley, 90 minutes out from Jackson Hole Airport. Take part in an American classic at Commerce City's , which started it's 40th season this June. 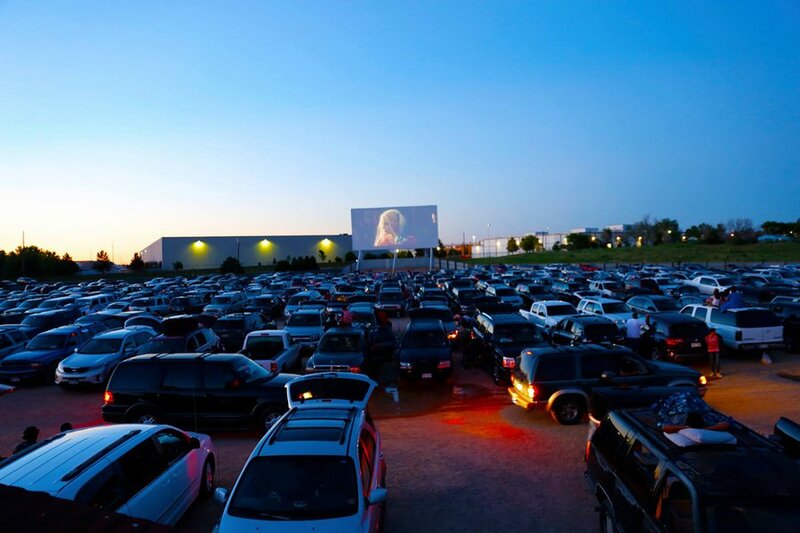 Park your car, order a pizza, sit back, and enjoy weekly features from a variety of genres (including contemporary cinema). The Republican National Convention isn't the only festival coming to Cleveland this summer. On August 19 and 20, hundreds of craft breweries and many more drinkers will toast to the inaugural . 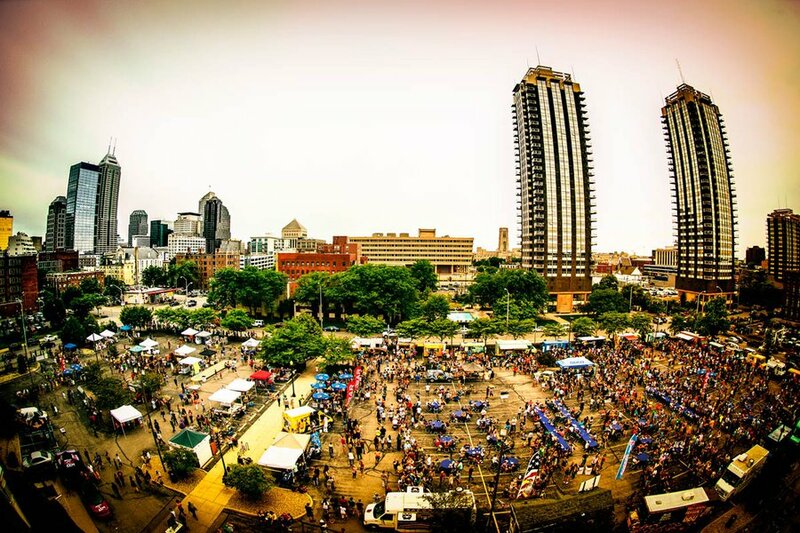 Food trucks and live music will accompany the festivities drinking. 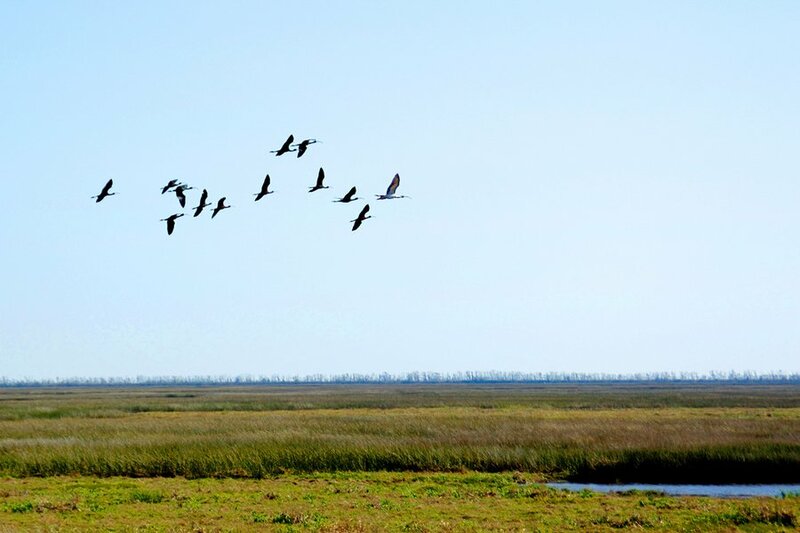 Visit the African Savanna without leaving the United States. Salt Lake City's , a 42-acre site hosting over 800 animals at the mouth of Emigration Canyon. 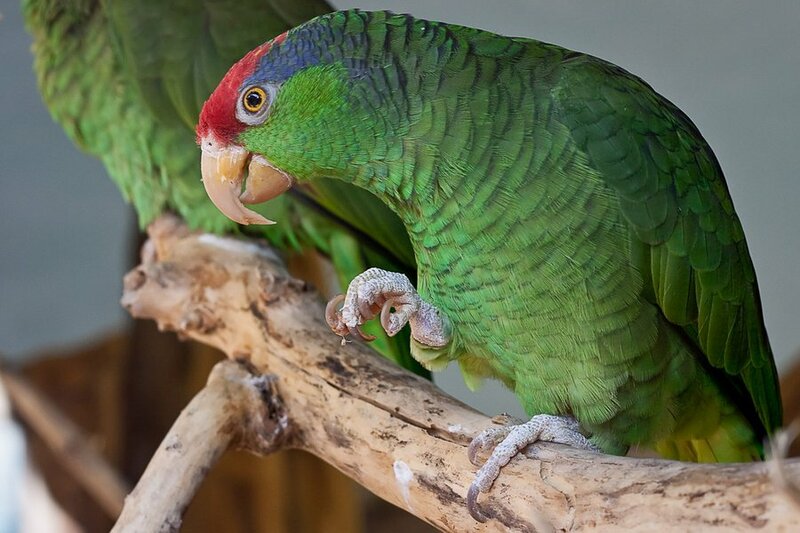 The state's best zoo makes for a great safari walk through natural hillside terrain and tree-covered paths. 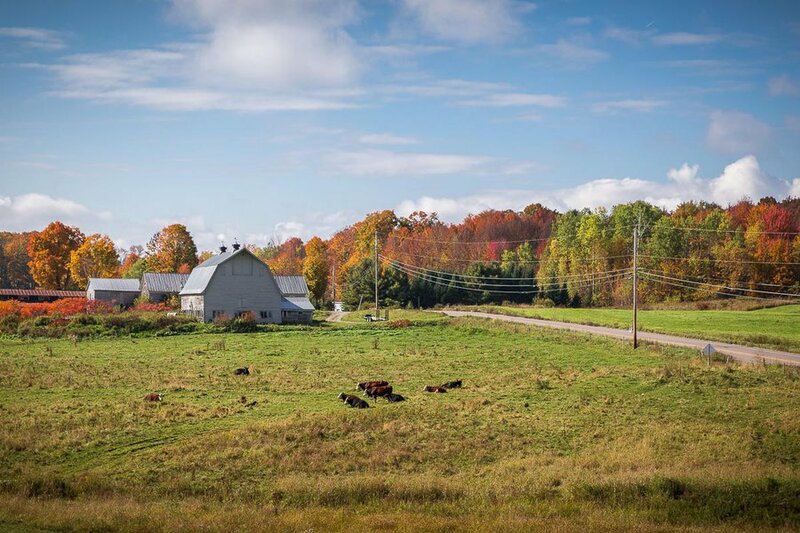 Montpeller's is run by Vermont's oldest maple family. They've been mining auburn gold since learning the techniques from Native Americans. Take a free sugar house tour, go on a maple tasting, or watch a multimedia display in a real woodshed theater. 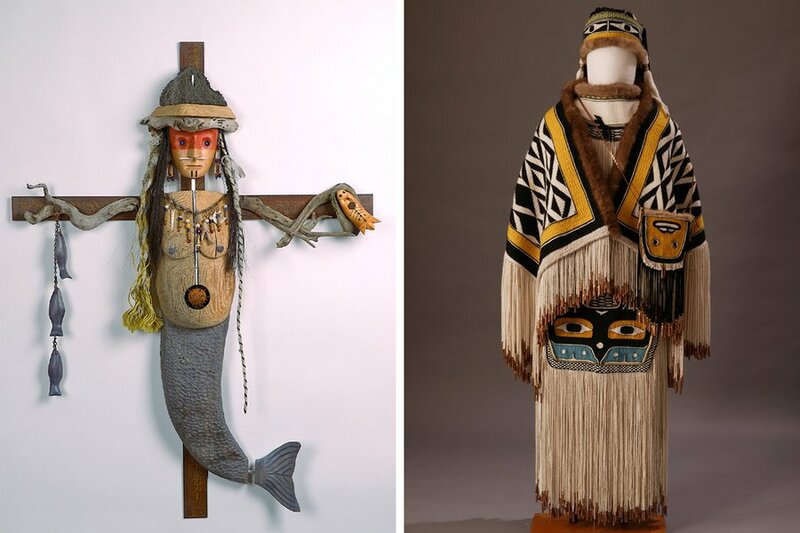 exhibit at the Anchorage Museum tells the story of what it means to be an Alaskan Native in an ever-changing environment through storytelling and a beautifully preserved collection of indigenous artwork. 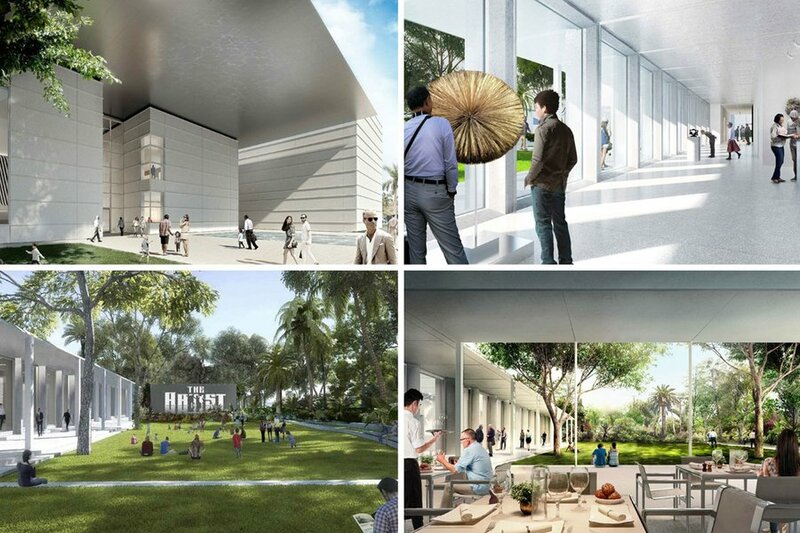 The t in West Palm Beach reopens July 5. Keep an eye out for a spate of well-curated exhibitions, including Giverny: Journal of an Unseen Garden, and Spotlight: Lichtenstein and Monet. 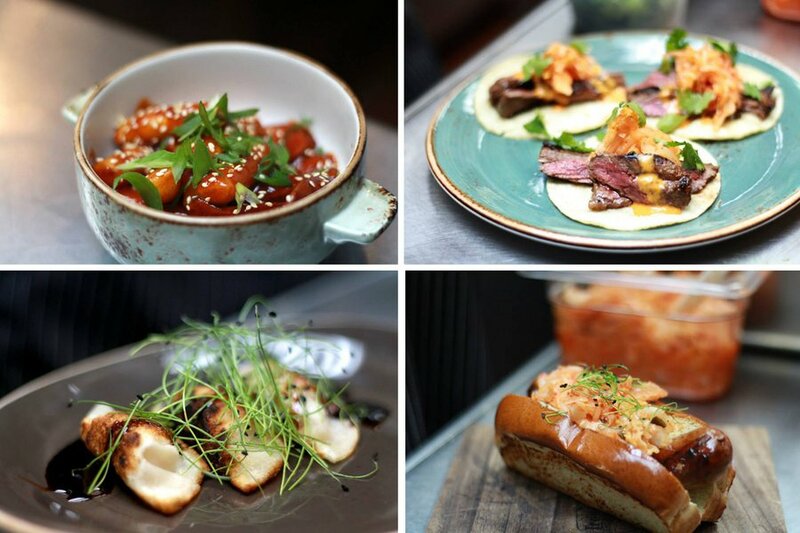 , a new Korean-Polish street food restaurant, has just opened it's doors to Bridgeport customers. Look out for Polish sausage with Krautchi — kimchi and sauerkraut, pierogis with Korean fillings, potato-scallion quesadillas, and Kimski poutine. Climb to new heights — like the highest peak in Virginia: . 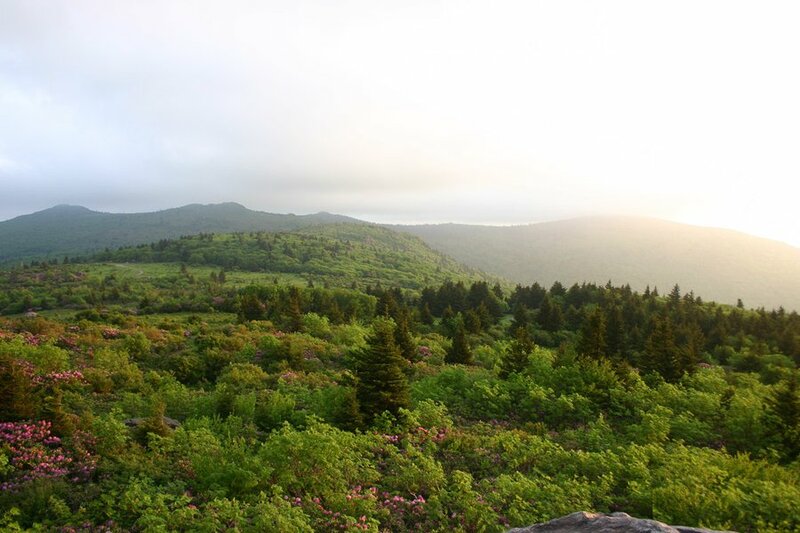 You can reach the second-most prominent point in the state by hiking the shortest route, a 4.5-mile (7.2 km) hike, from either Grayson Highlands State Park or from State Route 600 at Elk Garden. Go horseback riding, camping or hunting in the recreation area for some wild, summer fun. In their Jacob's Pillow debut, has a dozen men from Algeria and Burkina Faso do feats of strength, dance, and acrobatics in billowing white pants. 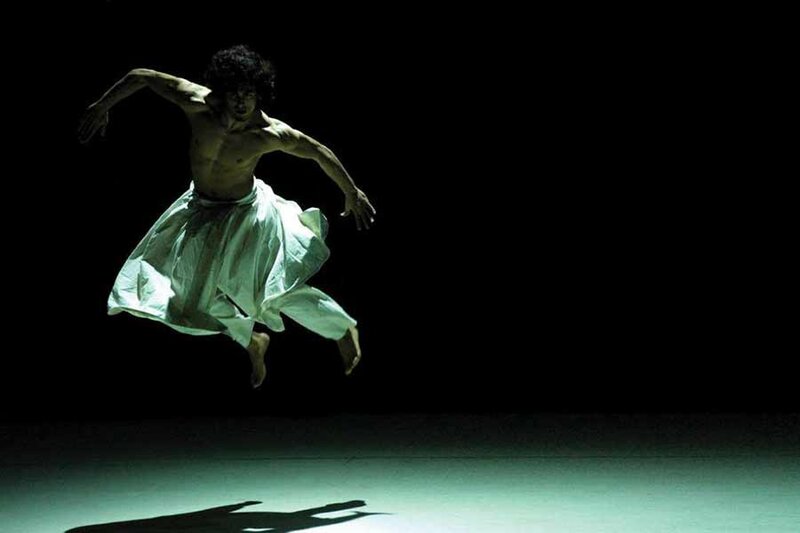 It's a roller coaster for the heart, eyes, and ears, with sounds from Bach to Kronos Quartet to traditional Sufism. Learn how to build a fire, identify the sounds of the Common Loon, trace the steps of gold diggers, and more during in Voyageurs National Park in International Falls. See the evolution of the American woman through the bathing suits she wore by perusing the exhibition Changing Tides: 100 Years of Iconic Swimwear. The show is up an running at the in Little Rock. You are welcome to show off your tan lines. 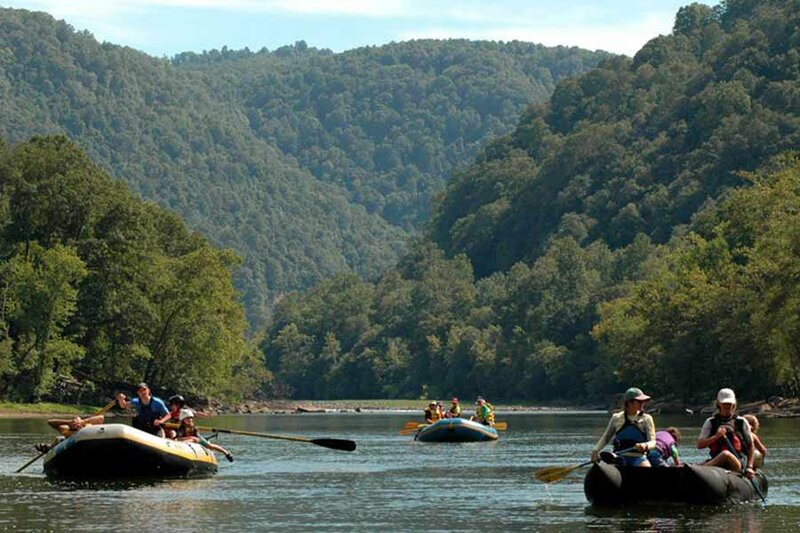 About an hour's drive south of Charleston, West Virginia, you'll come upon , a protected 53-mile stretch of one of the world's oldest rivers, and the deepest, longest river gorge in the Appalachian Mountains. 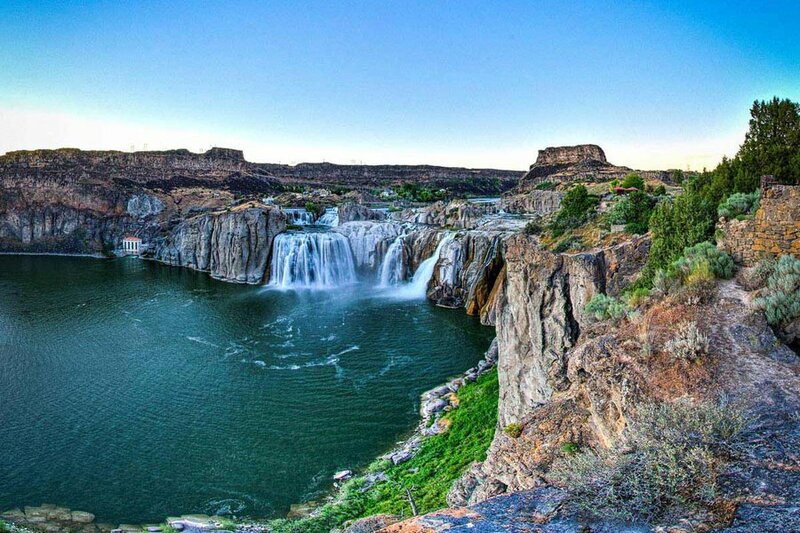 This makes for some of the finest whitewater rafting around, amidst a beautiful, rich, and bio-diverse landscape. has made its new home in a red brick, Queen Anne-style mansion in Tennessee. 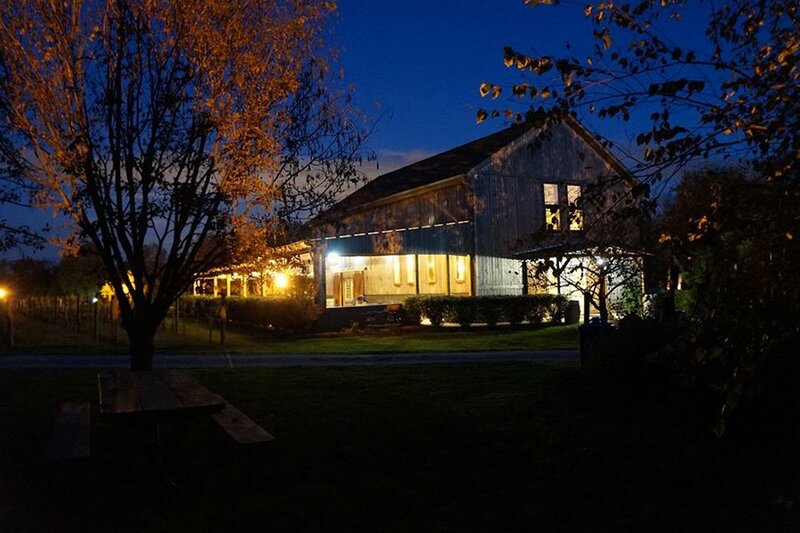 The alternative b&b caters to travelers looking for an eclectic, charming, indie-spirited place to call home base when exploring the happenings around town. 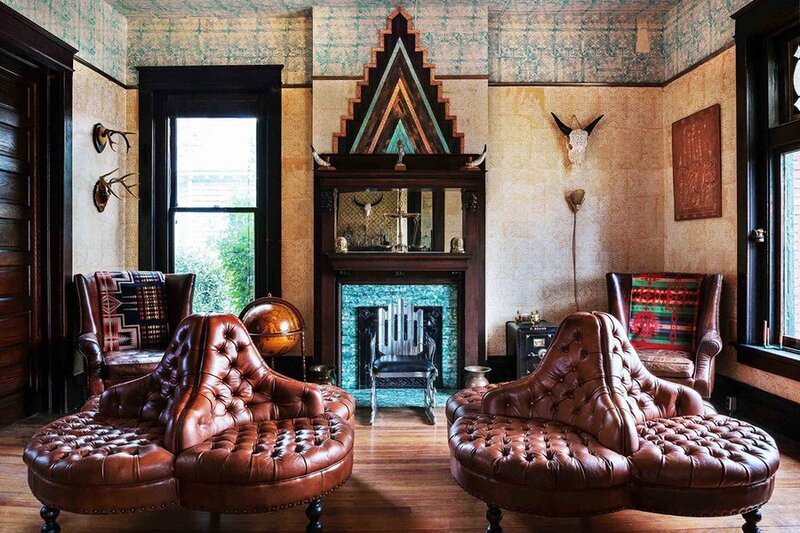 Claw foot bathtubs, leather settees, Navajo blankets, Wright mattresses, and loose musical instruments make for what the owners call a "Southwestern Deco" look. is the centerpiece for an outdoor theater experience based on the Little House on the Prairie book, The Long Winter. 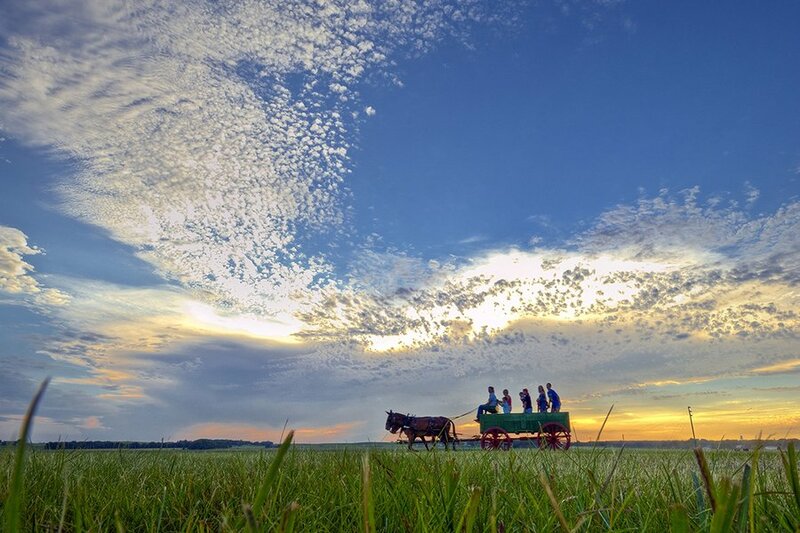 Before the pageant, explore the property, take a wagon ride, look in on a 19th-century school session, and take part in other pioneering activities (July 15-17 & 22-24). Thirty minutes from Vegas, at the far end of Las Vegas Boulevard along Interstate 15, you'll find — for a limited time! 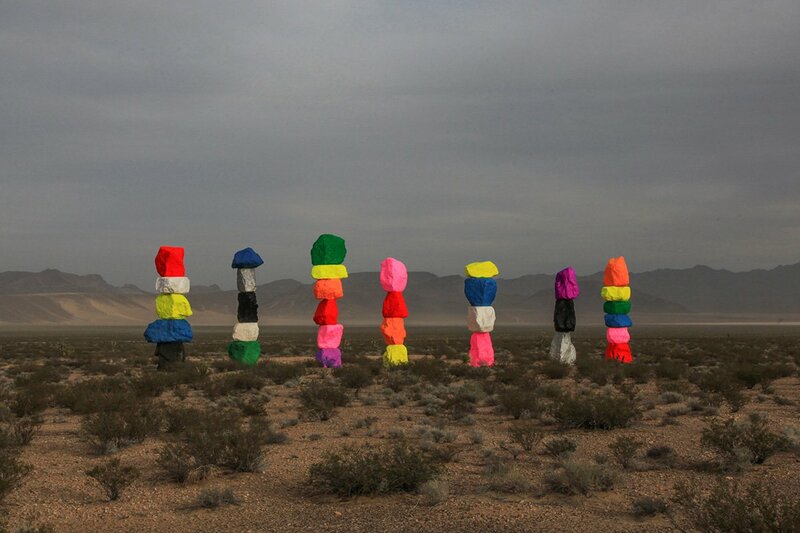 — a fluorescent desert Stonehenge. 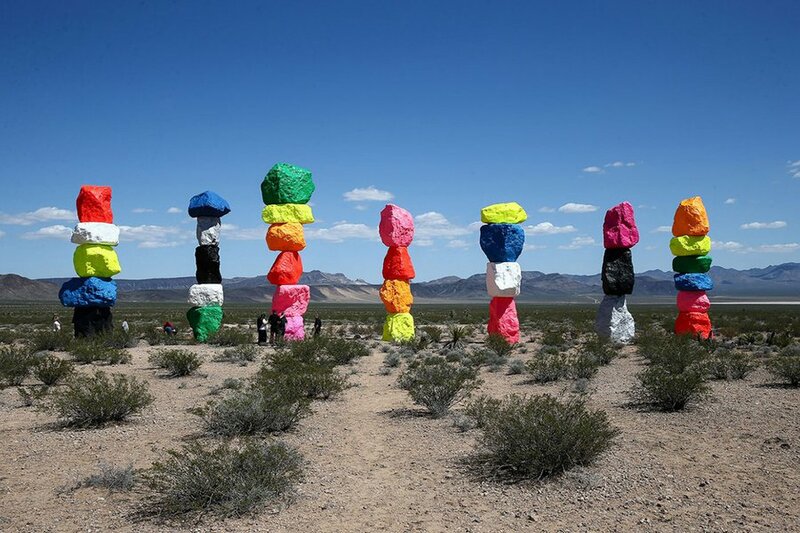 is Ugo Rondinone's large-scale, site-specific public artwork of colorful, cheerful, meditative, romantic rock stacks in Ivanpah Valley. Asbury Park's Victorian-era past will mix with its rock-n-roll present at the Jersey Shore's new . Bunk with friends in a dorm-style room that sleeps eight or stick with a king or queen room for privacy. 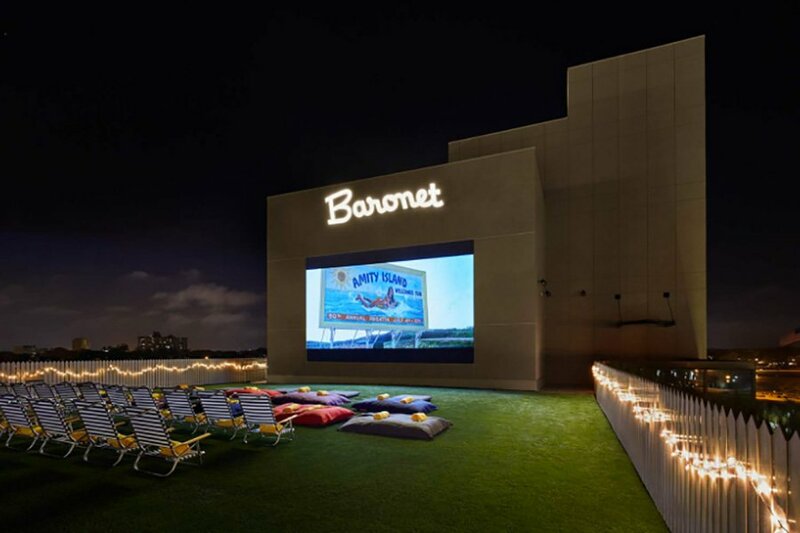 When dusk falls, the rooftop garden becomes a car-less drive-in showing classic films on a 20-foot wall. The 35-acre vineyard and winery called Equus Run, in the heart of horse country, throws a weekly summer Sunday hang called . Pack snacks, throw out a blanket, clink glasses, and chill out while listening to Kentucky bluegrass. Top off your summer with juicy crustaceans straight from the Bayou. From May to September, go crabbing in , choosing from one of many recreation areas where you are sure to score a crab or two. All you need is a line, good bait, and a bit of patience. Soon you'll be reeling in the sweetest catches in the state of Louisiana. 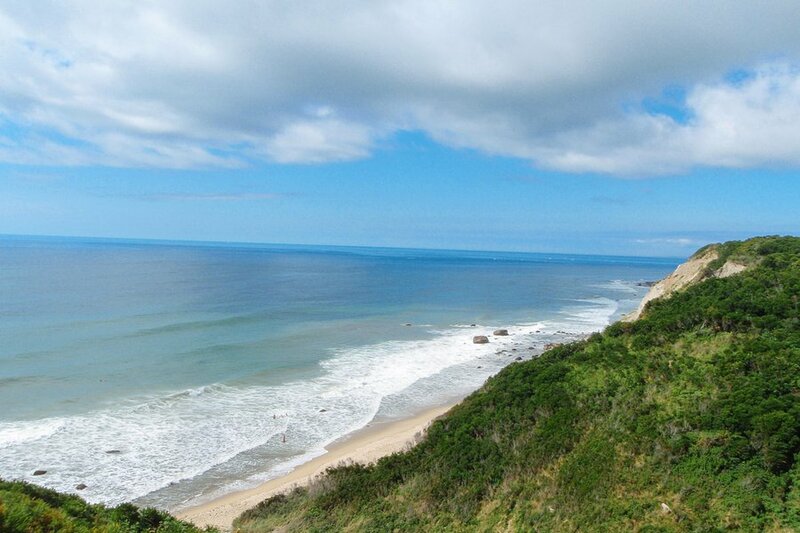 Experience the beachy charm of New England with a walk along the coastline. First, catch the ferry to Block Island and climb the for a moment of solitude from 200 feet up. Then, take a free tour of , labeled as one of the most architecturally sophisticated lighthouses in the United States, situated on a cliff along the Bluffs. Don't let the heat get to you in the South. Cool off at the beach! 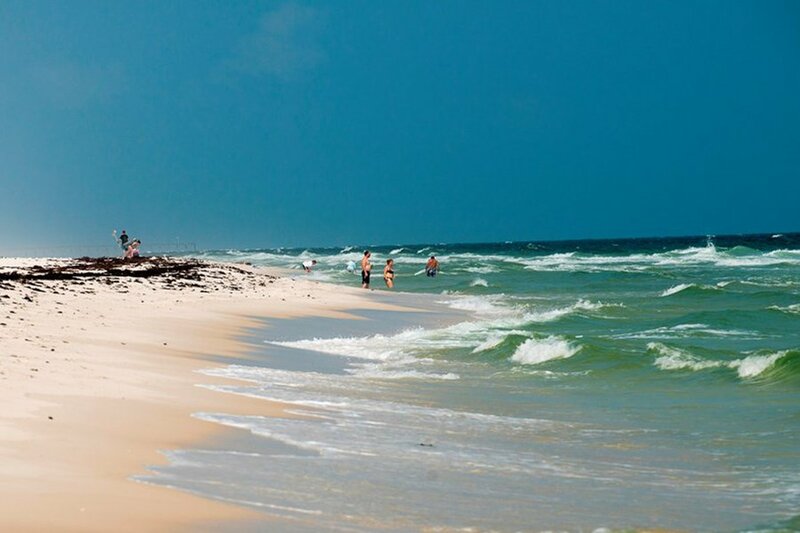 In Mississippi, head to for white beaches, sparkling, blue-green waters, bicycling, and bird watching. Start at Davis Bayou on the mainland, then take a boat and go island hopping from Cat to West Ship to Petit Bois Island. 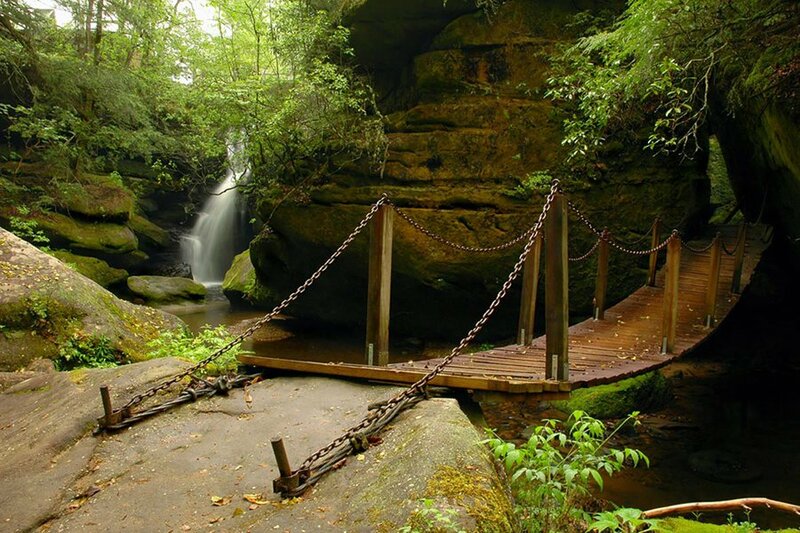 The National Parks Service offers a variety of indoor and outdoor activities for all ages. 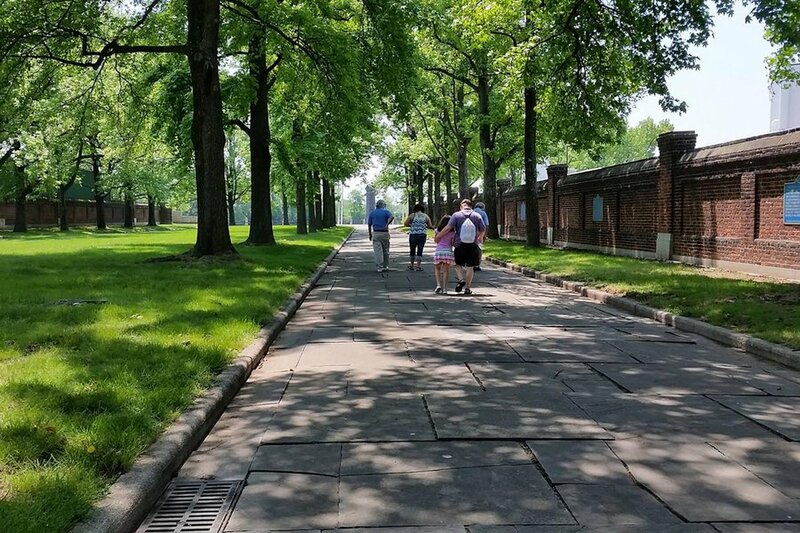 Illuminate your summer with a visit to the in Jackson, Michigan. 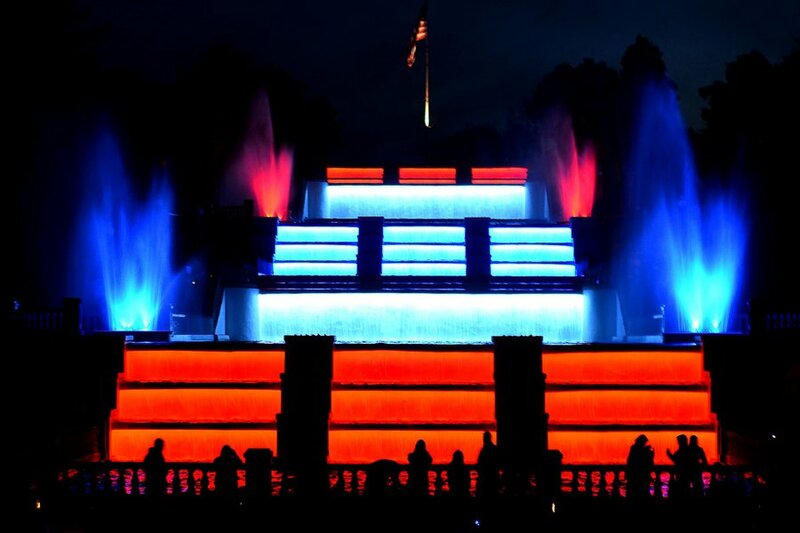 Every night between Memorial Day and Labor Day, this man-made waterfall comes to life with music and colorful lights. Make a special trip on Labor Day for a light show like no other with a firework display to accompany the dazzling fountain. While you're there, stop by the for a sweet treat to complete the experience. Let’s go on an adventure, a wine trail adventure in the Plains! Test out some of the best wines in the region at nine different historic wineries from Kansas City to Waverly, Missouri. Map out your journey on the and hit the road in search of your favorite red or white to take home as a memento. Sun on your back, cheers of the crowd in your ear, wind from the bikers whizzing by in your hair. This is what to expect at the (RAGBRAI). 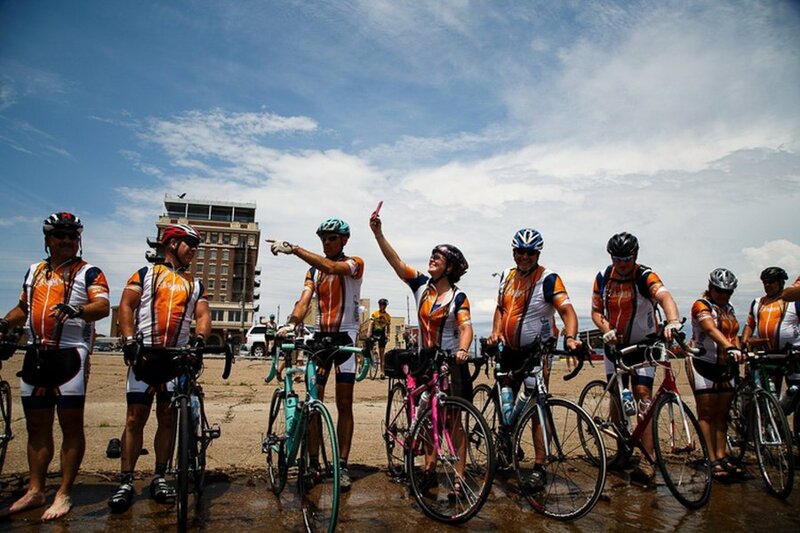 The annual seven-day bicycle ride (July 24 - 30) is the oldest and largest multi-day recreational bike tour in the world. Although it may be too late to register as a participant this year, RAGBRAI is the perfect sporting event for families and friends to kick back and watch in summer. Summer is hiking season and the time to check items off your bucket list. Do both by climbing to the peak of , the most hiked mountain in America with nearly 120,000 hikers a year. 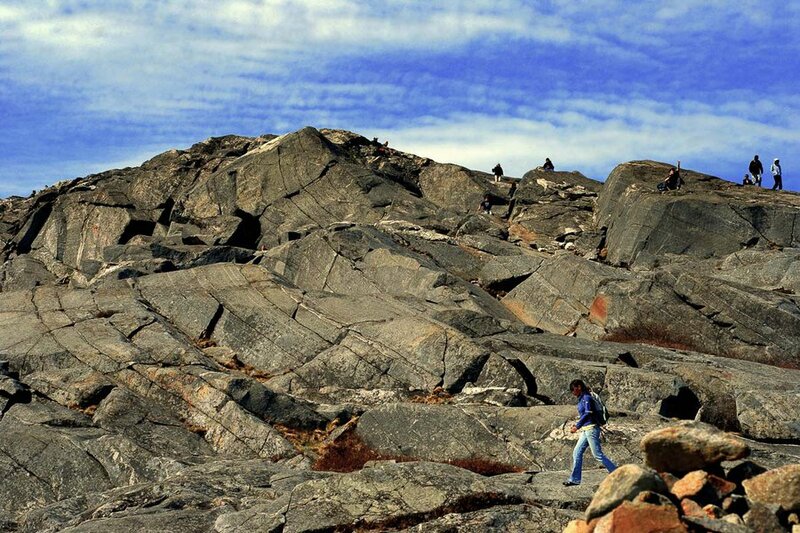 At 3,165 feet, Monadnock offers 34 official trails for rigorous and leisurely hikes in New Hampshire wilderness. From the peak, get a panoramic view of all six states in New England. Нашел в интернете авторитетный веб портал со статьями про Купить Meizu из Китая.